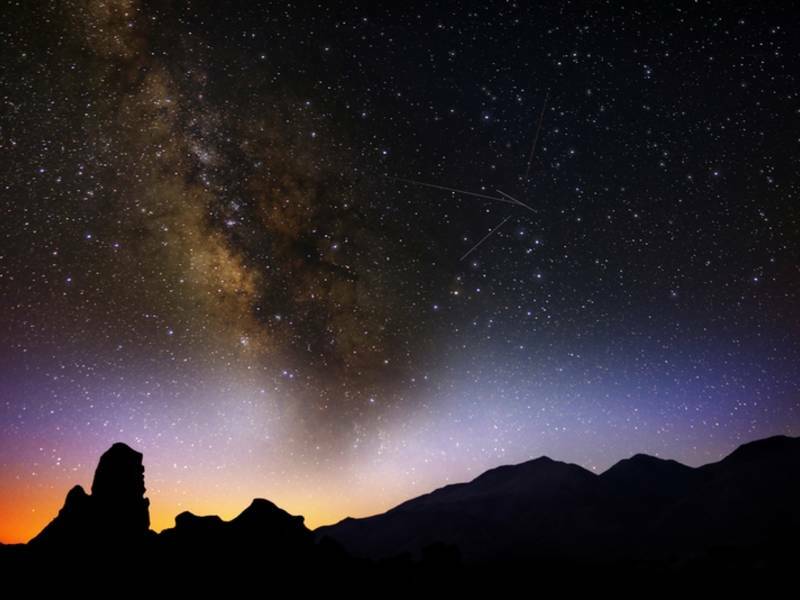 TWIN CITIES, MN — The Lyrid meteor shower, shown here above the Sierra Nevada Mountains in 2013, peak April 22-23 in North America. But that doesn't mean you should skip the Lyrid meteor shower, which is typically one of the most reliable of the year with very bright, fast shooting stars. Meteor experts usually advise skywatchers to look for shooting stars in the early predawn hours, and the Lyrids are typically no exception. Early evening hours also offer the best chance to see what's called an " earthgrazer ," an often colorful and slow-moving fireball that streaks horizontally along a path that is nearly parallel to Earth's atmosphere. The next recorded meteor storm of that magnitude was in 1803, when newspaper articles across the eastern United States reported falling stars in just about every direction in the sky. The path of the comet's orbit is nearly perpendicular to the plane of our solar system, and the gravitational pull of the planets keeps the debris from being scattered — a key to its reliability, according to National Geographic.